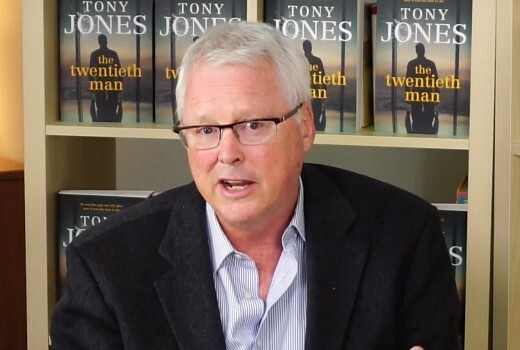 A published novel by ABC presenter Tony Jones is to be developed into a political thriller, The Twentieth Man. Roadshow Rough Diamond the newly formed production entity with John Edwards (Love My Way, Paper Giants: The Birth Of Cleo, Howzat!, Offspring) and Dan Edwards (Romper Stomper) have acquired the worldwide rights to the novel and its upcoming sequel. The eight-part series will be written by Christopher Lee (Paper Giants: Birth Of Cleo, Howzat!, The Secret Life of Us) and John and Dan Edwards. “It is a surprise to find an international story of war crimes and universal passions half a world away having Australians so centrally involved – Tony’s books are a gripping yarn that makes for great epic television” said John Edwards. A broadcaster for the project has not been announced. The Twentieth Man written by Tony Jones, one of Australia’s most admired journalists, is a work of fiction based on real events and focuses on both the personal and the ideological and ethnic clashes that spring from World War Two, Vietnam and the Balkan conflicts reverberating into a star-crossed love story that spans for 40 years. His novel is described as an unsettling contemporary thriller about terror cells in Australia, which takes you from the savage mountains of Yugoslavia to Canberra’s brutal yet covert power struggles. Sandy McCutcheon, Chris Uhlmann and now Tony Jones. Is the entire ABC News and Current Affairs dept. made up people trying to get their novels published? No indication ABC is involved…. but I suspect you were being cheeky.